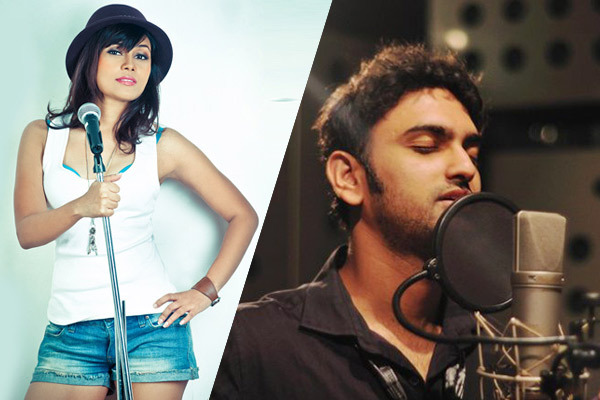 MUMBAI: Singers Paroma Dasgupta and Kshitij Tarey have recorded a cover of R.D. Burman’s iconic song, Meri Bheegi Bheegi Si to commemorate the legends 79th birth anniversary. Sung in both Hindi and Bengali, the song has minimal music that comprises of guitar sound, played by Abhishek Dasgupta. The vocals by both Paroma and Kshitij add to the soulful number of the singer, whose compositions are globally renowned. The video is directed by Kapil Siddharth. The cover of Meri Bheegi Bheegi Si /Mone Pore Ruby Roy is indeed one of the melodious creations by both Paroma and Kshitij. MUMBAI: Year 2019 has started on a fabulous note with a fresh musical wave hitting the Indian music industry. From among the many independent songs as well as Bollywood numbers released this year, there were some hit numbers that grabbed eyeballs. MUMBAI: Famous for songs like Aye Khuda (Murder 2) and Tose Naina Laage (Anwar), singer and composer Kshitij Tarey is back with his new single, Mainu Kon Pehchane, which showcases the pain of one sided love. MUMBAI : Veteran singer Asha Bhosle rues the fact that the music industry nowadays is not producing good music thereby robbing young talent of enough opportunities. MUMBAI : Popular composers Sachin-Jigar created four options for the newly released song Chad gayi hai from Akshay Kumar-starrer Gold before they zeroed in on the final one. MUMBAI: Pancham Da, this is how the industry identifies R.D. Burman, who ruled the music industry for over three decades. Even, today, music is incomplete without his tunes. We say this on the basis of covers recreated on YouTube and its fast-growing views.